The URBAN NATION initiative goes beyond the classical notion of the museum and reinvents the idea with activities that have an impact beyond the four walls of the museum. 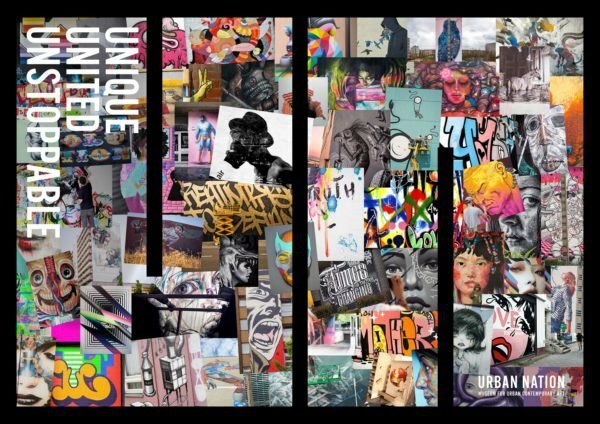 Since 2013, URBAN NATION under the curatorial direction of Miss Young has been inviting international luminaries and aspiring talents of urban contemporary art to Berlin to show their works within the urban fabric of Berlin: on building façades, house walls and shop windows. URBAN NATION has been transforming Berlin's facades into a giant outdoor gallery and connecting people with their city using outdoor art and integrative neighbourhood projects. URBAN NATION is a place of dialogue, a meeting place and an archive.